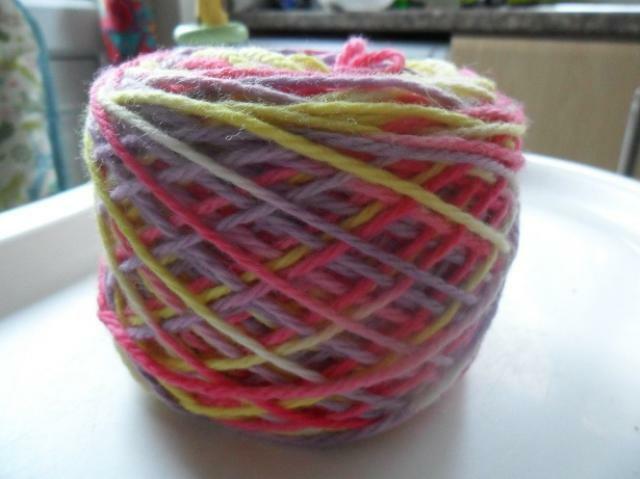 This is 90g merino aran yarn, hand dyed in Soft Fruits colourway - pink, lilac and yellow. This yarn has already been wound into a centre pull ball for ease of use. I can also knit this up into a woolly of your choice if you prefer a soaker, shorts or small longies would be possible. Please contact me for details and prices, customs turnaround time is 2-3 weeks but not always that long.